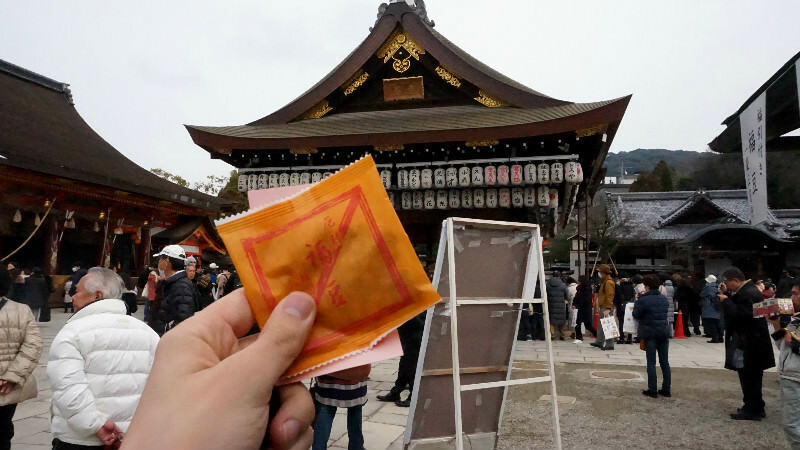 Setsubun is a time in Kyoto when the demons “attack” the city, but they are expelled by lucky-beans. 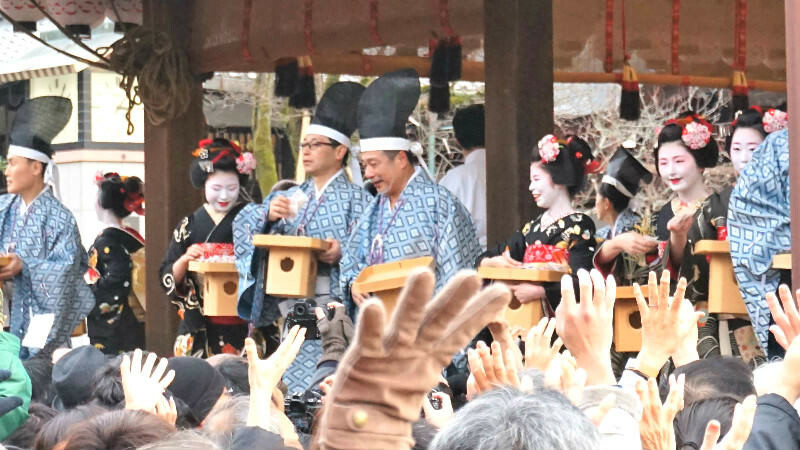 The most famous Setsubun related event in Kyoto is probably the demon exorcism festival at Yoshida Shrine, but at Yasaka Shrine you can enjoy a more elegant Setsubun with maiko and geisha. 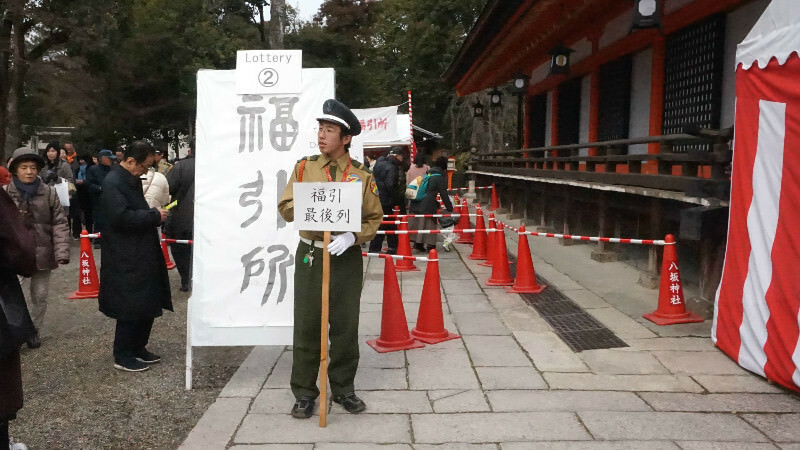 Yasaka Shrine can get very crowded during Setsubun, but the nice thing here is that they have many events during the day and the event takes place both on the eve of Setsubun and the day of Setsubun. The dance and bean-throwing by maiko is, of course, the most popular thing in this festival; countless people go to see it, both tourists and locals alike. 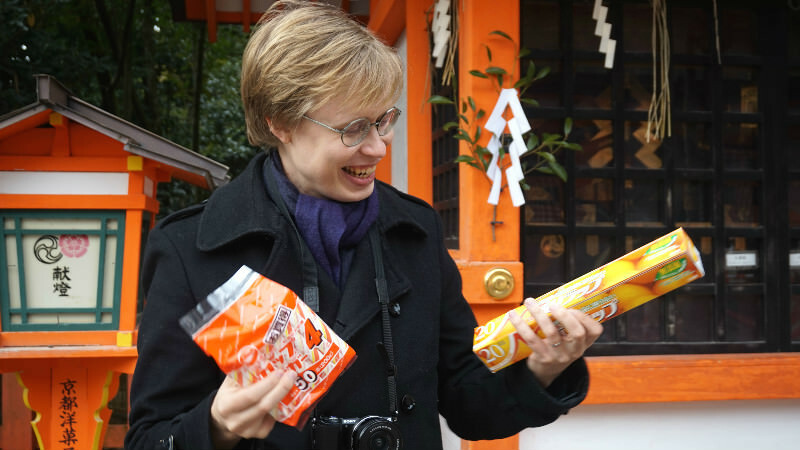 We started our Setsubun trip by buying some lucky beans, and with these beans, you get a raffle ticket. You then draw your lot, and then you’re ready to see what you won. This is even more fun than it sounds, and the prizes are pretty great too; bicycles, television sets, and all kinds of other things. And this is what we got! 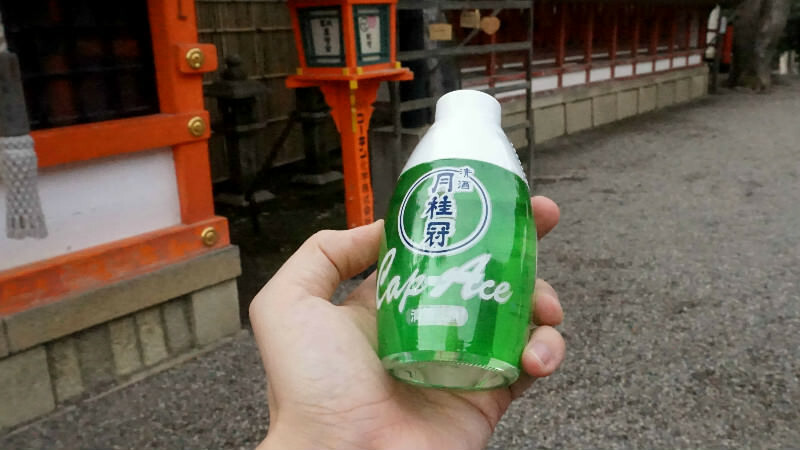 A bottle of Gekkeikan sake, of the sought-after Ace-Cup variety. This sake is very convenient, as the top of it becomes a sake cup, and you can microwave the bottle, as long as you remember to take off the metal cap under the plastic one. Kenji got a neck warmer, which you can see in the last picture of this article. Next, since it was Setsubun after all, we went to have some Ehomaki, a sushi roll had on the day of Setsubun. It contains seven ingredients which are said to be very auspicious. 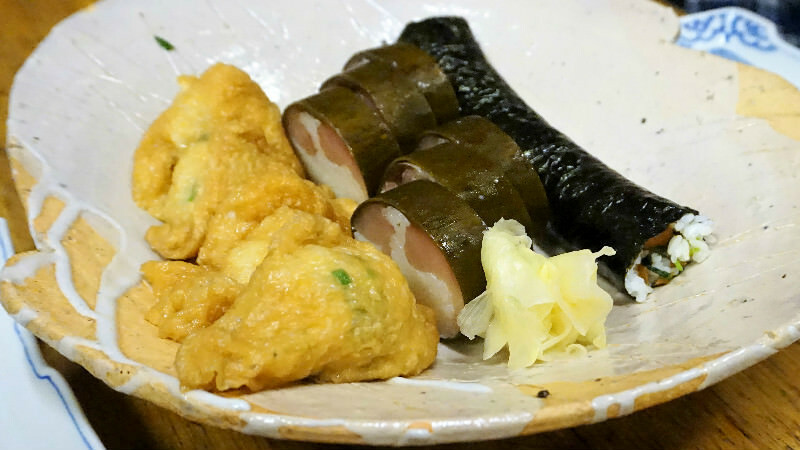 We had our Ehomaki at Izuju, one of the oldest and best sushi restaurants in Kyoto. 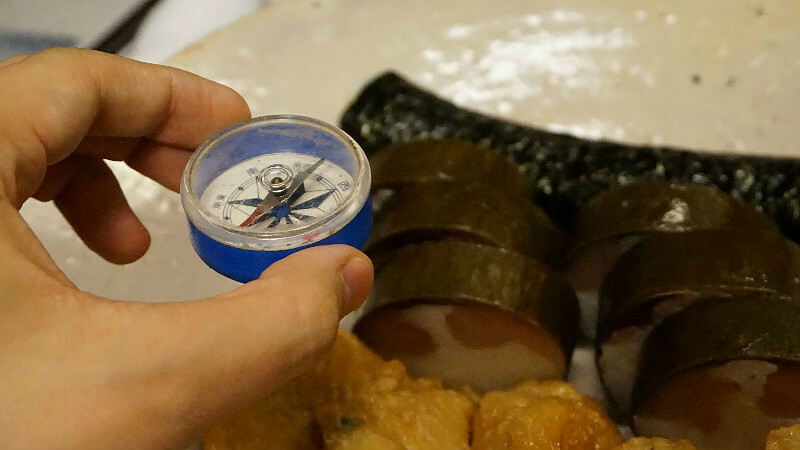 They even show you the “lucky direction” of the year using a compass, so you can eat the Ehomaki in the proper way, without a word, and facing the lucky direction. After having our sushi roll, we headed back to the shrine. There were really many people here now, as the maiko show of 3 p.m. was about to start. 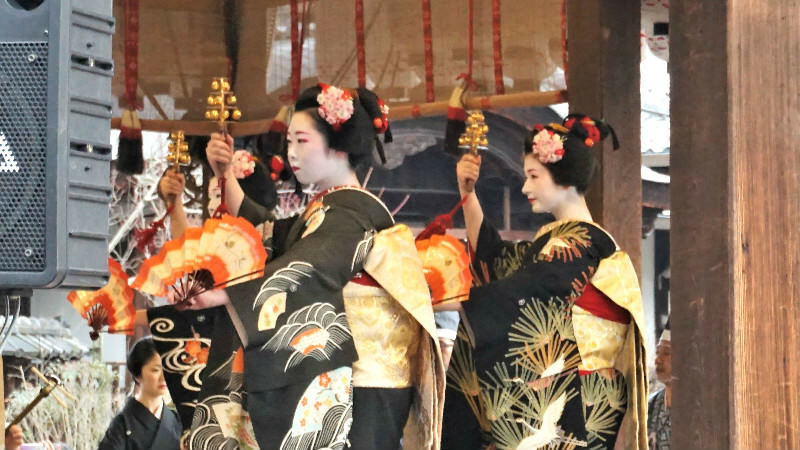 The maiko first dedicate a dance to the gods of the shrine. This dance is very graceful, and the moves flow slowly. After the dance, the maiko throw small bags of beans to the audience. If you want to catch one, you need to go early, as the beans are very light and won’t fly very far. We didn’t manage to catch any this year. Sugar and plastic wrap! At least these can be used in the office. 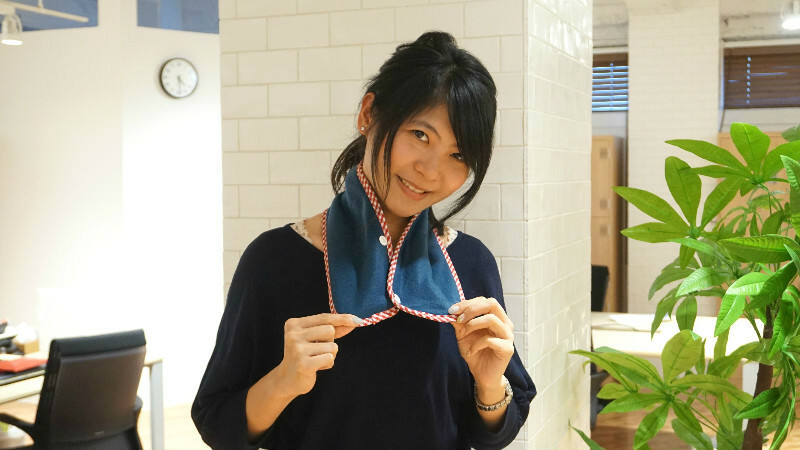 So that wraps up our Setsubun for the year 2018, but here you can see Vanessa showing off the cool neck warmer Kenji won in the raffle! So that brings to an end our Setsubun reporting for 2018! 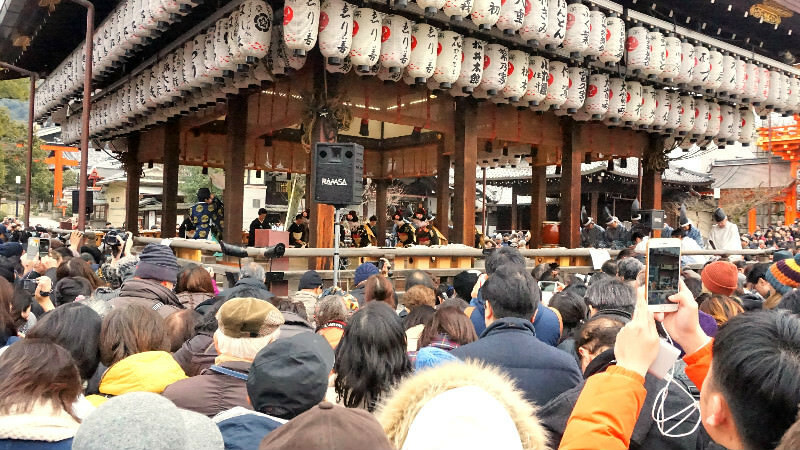 There are so many nice events all around Kyoto during this time, so remember to also check our featured article about Setsubun too! Now it’s time to wait for the cherry blossoms!